Slice bell peppers in the middle to form shape of boats, take out membrances, wash and place on baking sheet. For chicken boats: fill each pepper with chicken chops then season with fresh red pepper and carrot flakes. Bake for about 30mins, basting with oil sauce inbetween to keep meat moist. For egg boats: season with salt & black pepper and bake until eggs are cooked (About 25mins). Please do not forget to like this post and follow the blog for more recipes. Thank you! 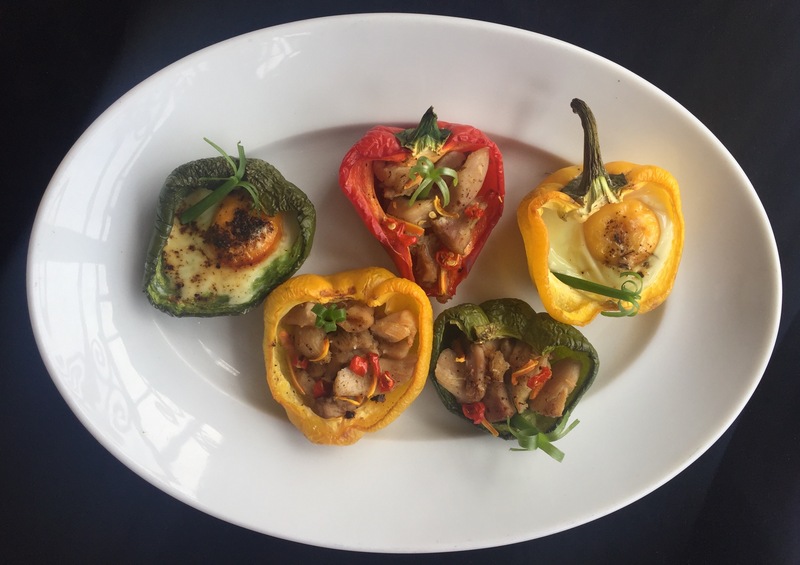 Don’t be scared about trying this out, bell peppers are so not hot!